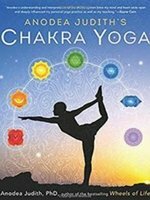 Can I align and balance the crown chakra with yoga? What are the best poses? Yoga is not only a good exercise for the physical body, it is also a way of working and getting in touch with the subtle body. When we practice yoga, we get in touch with finer and more subtle energies of our body and we begin to align and balance our chakras. My three favorite crown chakra yoga poses are the Corpse pose, Lotus or Half Lotus pose, and the Headstand. 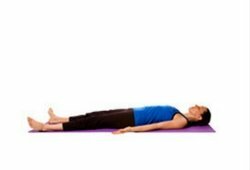 The Corpse pose challenges you to be connected with the ground, to be still in the present moment. It is in the present moment where all healing occurrs. When you are fully present in the moment, connected with the earth, the ground, the crown chakra will begin to align with all other seven chakras and energy can flow smoothly through your subtle body. The Lotus or Half Lotus pose helps you to go inward and connect with your wisdom and inner knowing. The Headstand is an advanced pose and it nourishes the crown chakra by drawing blood to the head which carries prana (energy) to the 7th spiritual centre. The crown chakra represents pure cosmic energy. By practicing crown chakra yoga poses, we gradually awaken to this level of experience and will can experience periods of bliss, divine connection, unity, peace, beauty, and much more. This is an excellent calming and balancing crown chakra yoga pose. Whenever you can, practice this pose outside, lying on the grass where your body can absorb the pulsed energies of the earth. Use a blanket instead of the yoga mat, because the material of your mat might block the bio energies of the earth. Stretch your legs, spread them comfortably apart (whatever feels good for you) and relax your lower body. Draw your shoulder blades underneath you, tilt your chin slightly towards your chest (to lengthen your neck) and relax. Breathe deeply and feel the connection of your body with the ground. Visualize deep purple energy in your crown chakra as it is pulsing - expanding and contracting, spinning and moving. Feel the flow of energy and feel the stability this pose provides you. As much as this pose looks simple, it is a challenging pose. It is called the Corpse pose, because it is supposed to imitate the stillness of a corpse. Continue visualizing the flow of energy from your crown chakra all the way down to your root chakra. Sitting crown chakra yoga poses are the gateway to higher consciousness. It is through meditation that much transformation occurs. The Lotus position is the most common position for meditation. Half Lotus is easier that Full Lotus and offers the almost the same stability for meditation. Sitting on a mat or a cushion, place one foot on the opposite thigh and the other foot on the floor beneath the opposite thigh. Both your knees need to be on the floor, otherwise your spine will be out of balance (see picture to the left - left knee is off the floor - should be on the floor). If you can't manage both knees on the floor, then you might want to practice Burmese position where you place both feet on the floor, one in front of the other. The Headstand is an advanced yoga pose and I do not recommend that you try this pose on your own. Some teachers recommend that you practice yoga for a full year before you attempt Headstand. And remember, always consult with a medical practitioner before practicing yoga poses, especially if you have any medical conditions. As the name suggests, Headstand is a pose where you "stand" on your head. This inversion causes all your blood flow to rush to the head and to supply oxygen and nourishment. This pose opens, balances, and calms the crown chakra. When I first began to practice the Headstand, I could not stay in this position longer than 10 seconds. With practice, I was able to extend the time and now I stay in this pose for several minutes. Kneel on all fours on a yoga mat. Come down onto your forearms in the middle of the mat. Clasp your hands together and lock your fingers, they will be supporting your weight. Rest the crown of your head on the mat in the space between your forearms, supported by your clasped hands. Slowly raise your knees of the floor by moving your toes closer to your head. Lift your trunk and bend your knees. Straighten your legs and balance. Take a few deep breaths and stay in this pose for as long as you like. Variation: you can do this pose leaning against a wall to help with balance. To come out of Headstand, slowly come back down onto your knees resting your head on the mat. These three poses will help you to balance the crown chakra and align with the Divine flow of energy.